The Kanger TOGO Mini is the new All In One Starter Kit that addresses the shortcomings of ultra compact AIOs by packing in a tremendous tank capacity of 3.8 milliliters powered by a direct voltage based output. Based directly from the CUPTI and Argo platforms, Kanger's TOGO Mini maintains the side by side.design while integrating a premium textured finish. Ultra compact in size, the TOGO Mini squeezes in an ample 1600 mAh integrated battery that is charged at a maximal rate of 1A to ensure minimal downtime. Output of the TOGO Mini features a direct voltage output based on resistance and battery state, with a minimum atomizer resistance of 0.15 ohms. The system gives feedback off of a minimalist LED battery screen consisting of five vertically arranged LEDs that provide battery life. The tank system of the TOGO Mini sits directly adjacent to the chipset, with a maximum tank capacity of 3.8 milliliters, filled via a threaded top fill system. The coil structure utilized within is the tried and true CLOCC family that debuted with the CUPTI platform, and included in each set is a 0.5 ohm SS316L coil and a 1.0 ohm NiChrome MTL coil, catering to a well balanced and flavor orientated output, respectively. 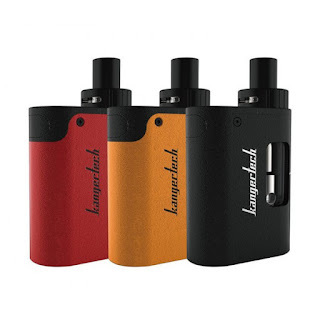 Compact without sacrificing range and capacity, Kanger's TOGO Mini All In One Starter Kit is an excellent platform for users looking for a simple to operate, consistent, and all day pocketable system. It is in stock at our store, only $25.90 you can get one .